Coldstream Clear Distillery is a family owned and operated spirits producer in central Nova Scotia. The family tradition of distilling dates back to 1749 when Mr. Simon Giffin moved from Northern Ireland to Halifax to practice his trade as a distiller. Simon’s grave is located just a few blocks from the Bishops Cellar retail store in the Old Burying Ground on Barrington Street. The fascinating process of fermenting and distilling quality spirits has been picked up by the family more than 9 generations later. Today’s products include a unique handcrafted line of rum, vodka, and liqueurs which focus on exceptional taste while making use of an abundance of local ingredients. 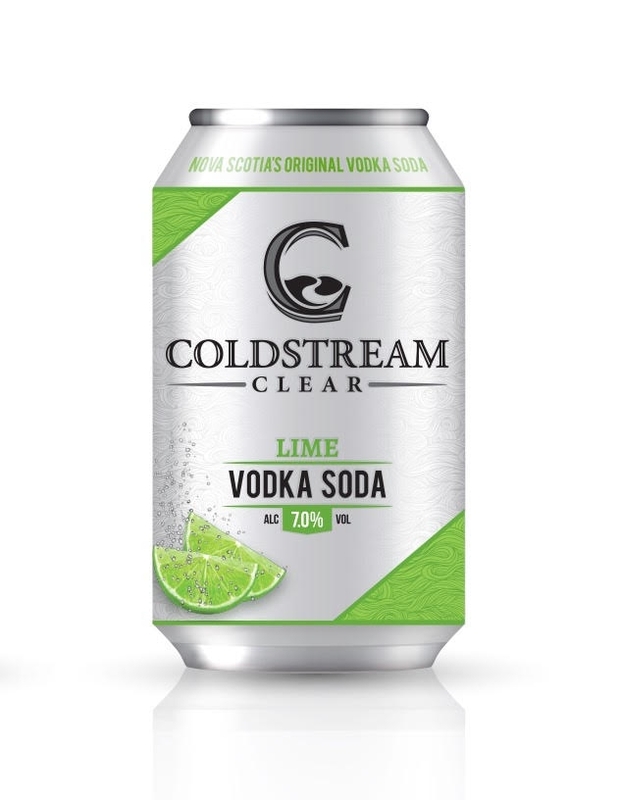 This is an all-natural, unsweetened vodka soda beverage with a hint of real lime. It makes for an refreshing clean tasting drink in a convenient can format. 7% ABV, 0g sugar, gluten free, all natural.